FC Barcelona’s current kit suppliers contract with Nike runs out in 2018 and they are likely to extended it till 2025 before the deal expire. 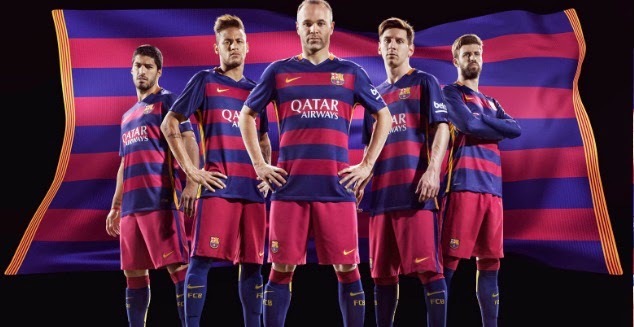 Today Barcelona and Nike has released the official home and away kits for 2015-16 season. This will be the very first time in Barcelona football club history when they are going to use shirts with horizental stripes unlike their traditional red and blue hoops style. Shirts collar and sleeves are is likely to be blue with yellow and red horizental shape design on the front of the shirt.the shirts of the home kit will be red. 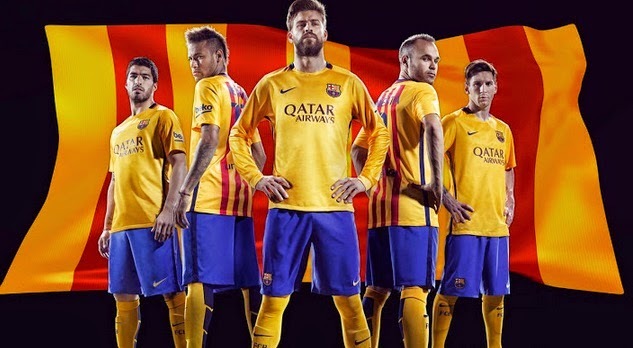 This is the new away kit from Nike for Fc Barcelona 2015-16 season. 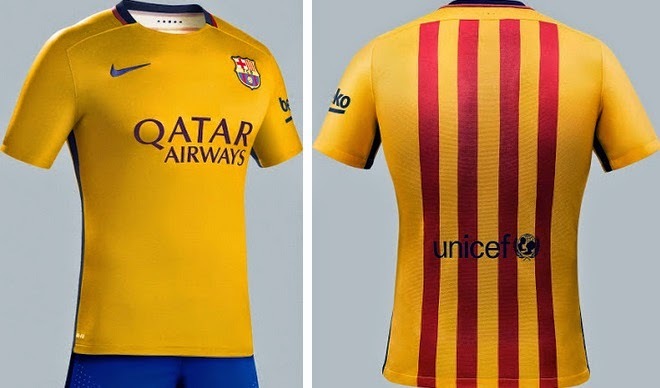 The away kit design is inspired by the on-going catalunya campaign. The unicef logo will still be placed at the back of the kit. 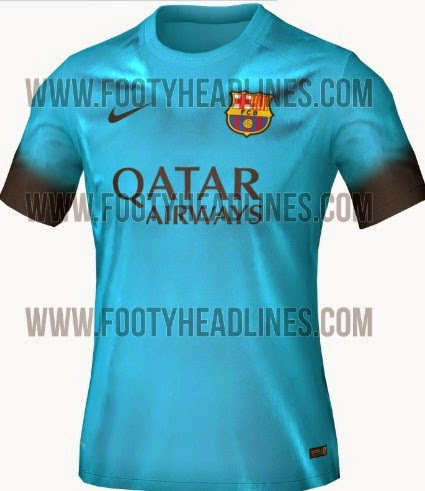 This will be the new third kit for Barcelona in 2015-16 season which will be used in away champions league matches.